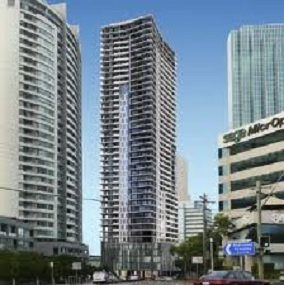 Windtech Consultants have had the privilege of being a key consultant with respect to wind engineering services for many of the towers within the Chatswood CBD precinct. Past and/or ongoing projects include: 7 Railways Street, Chatswood Civic Place, Chatswood Transport Interchange, Mandarin Centre, Pacific Place, The Regency and Metro Residential Towers. For the 7 Railway Street project, Windtech Consultants have conducted Structural Loads and Building Motion Studies using the High Frequency Force Balance Technique (HFFB). These tests enabled an accurate and definitive determination of the wind loads on the structural frame, as well as a set of equivalent-static load cases, on the tower of the development. The study also provided an assessment of occupant comfort due to building motion against three different sets of published criteria. For the 7 Railway Street development, no acceleration problem was found, which is largely due to the efficient design of the structure. A Façade Cladding Pressure Study was also undertaken to obtain the façade cladding design pressures. In general, the wind tunnel results represented pressures which were lower than predicted by the code estimate, but also took into consideration the pressure “hot spots”. This enabled the façade engineer to optimise the design of the façade over the entire building envelope. Further to this, Windtech investigated the Wind Entry conditions and effects of Lift Pressurisation for the development. 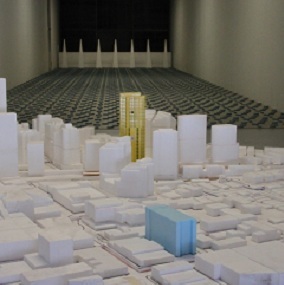 A Pedestrian Wind Environment Study was also undertaken for the development. The results from the study indicated that there were areas around and within the site which exceed the recommended comfort and safety limit criteria. We investigated ameliorative measures such as trees, shrubs, screens, etc, and tested them in the wind tunnel until an acceptable solution was reached.